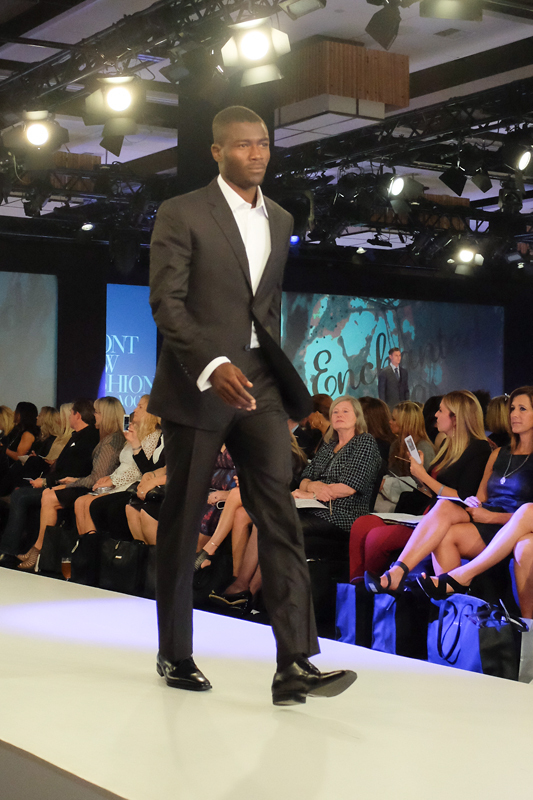 Front Row Fashion was yet another outstanding event that’s part of Bellevue Fashion Week hosted by The Bellevue Collection and Vogue Magazine. This year, along with all previous years I’ve been a part of did not disappoint. 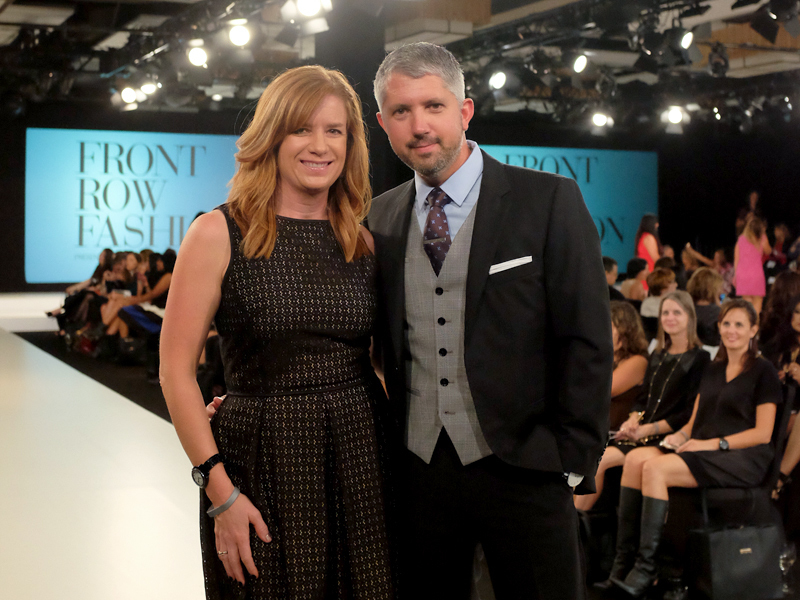 Cara Crowley, Associate Director of Special Events at Vogue Magazine has been in town most of the week again this year for Bellevue Fashion Week and she opened the show with some nice words about Fashion in the Seattle area. 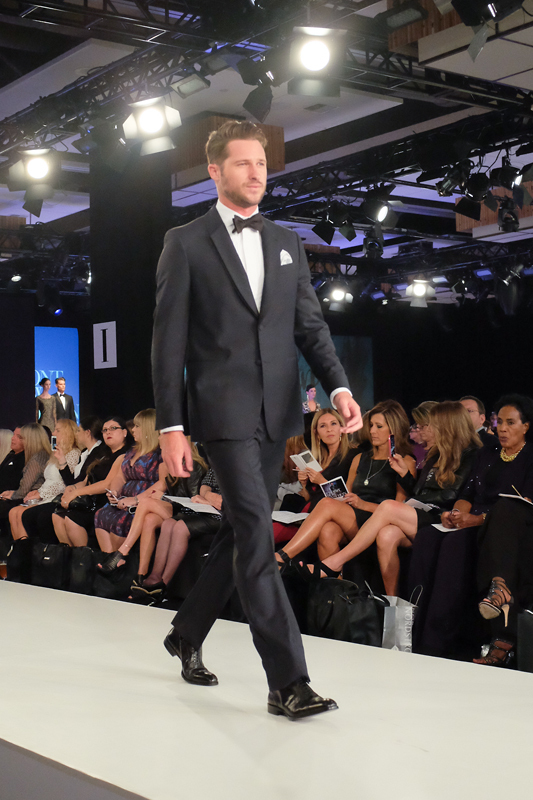 As with most fashion shows, the runway is strongly tilted towards the female buyer, but this show always has a decent amount of menswear styles represented. As you’ll see in some of the photos below, the trends this fall are plaid, rust and grey. The trends for spring 2015 are white. In an effort to better clarify what you’re seeing here, I’ve included the garment details and the store name in case you see something you like and were inclined to go take a look in person. Footwear provided by Aldo. A few of my takeaways from this show are, I need a new leather jacket and I need to go check out Faconnable. 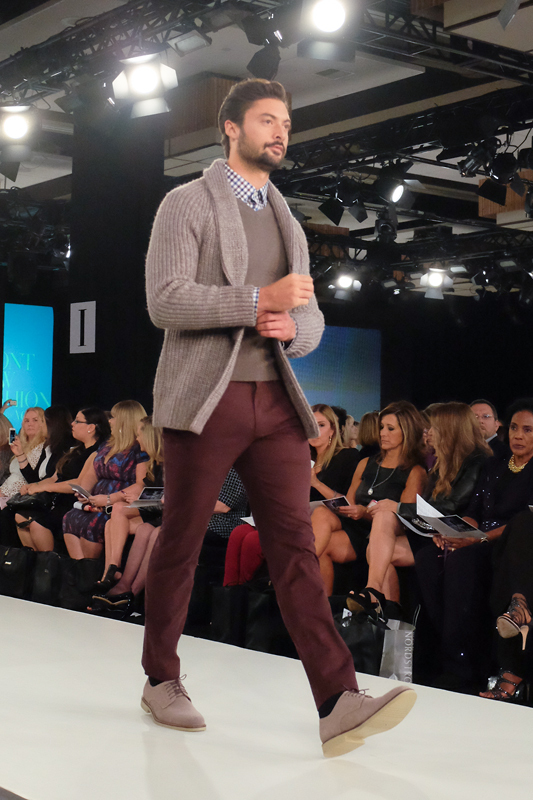 Banana Republic: Grey cardigan, plaid shirt, charcoal sweater, plum pant. Banana Republic: Cable knit fur collar sweater, chambray shirt, navy cord pants. 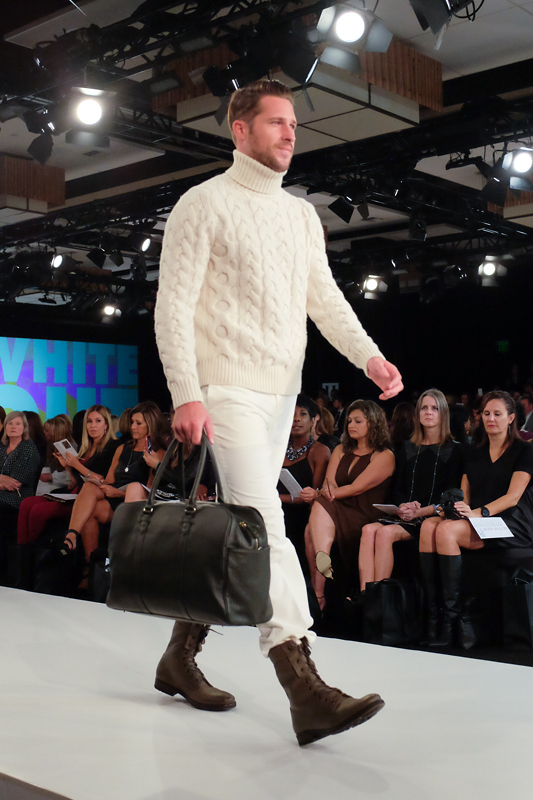 Faconnable: Ivory cableknit sweater, cord pant, hunter green travel bag. Tommy Bahama: Cream zip sweater, off-white pant, orange watch, brown aviators. Faconnable: Black striped three-piece suit, charcoal suit. Johnston & Murphy: Rust Blazer, checkered shirt, knit vest, jeans, messenger bag. 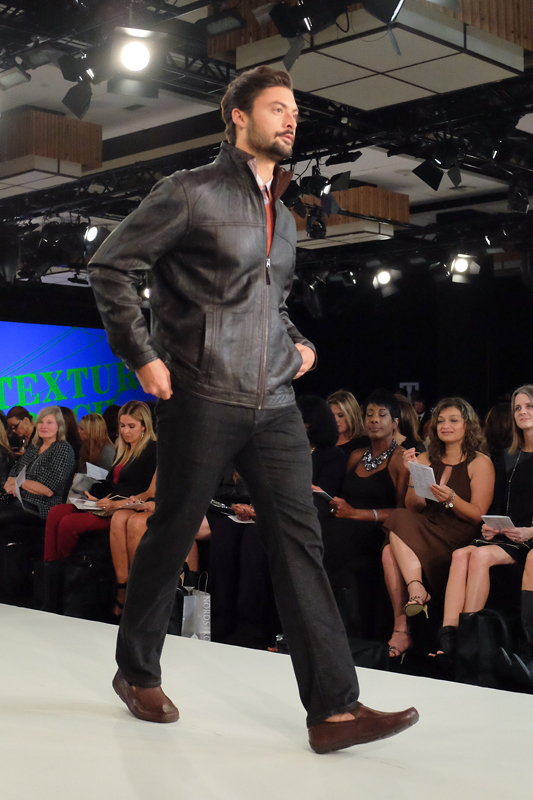 Tommy Bahama: Leather jacket, plaid shirt, rust sweater, denim pant. Vince: Hooded sweater, grey coat, plaid shirt, wool pant. 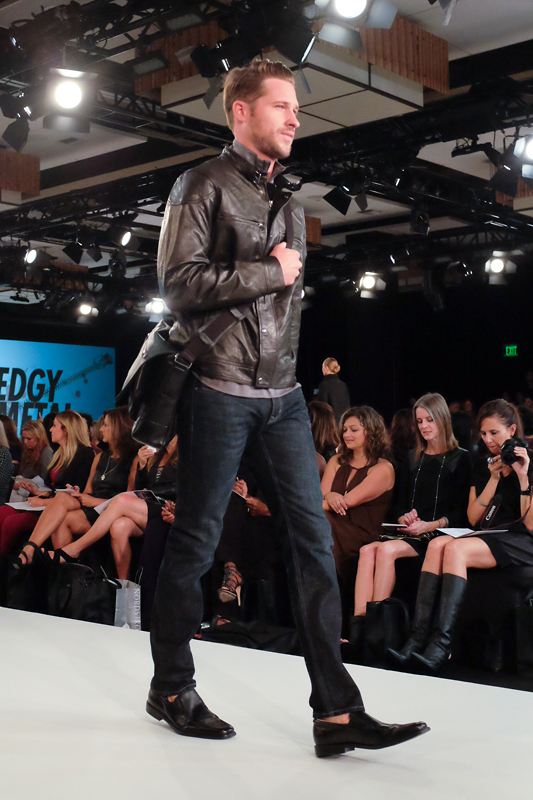 Banana Republic: Leather jacket, grey zip sweater, denim jeans, messenger bag. 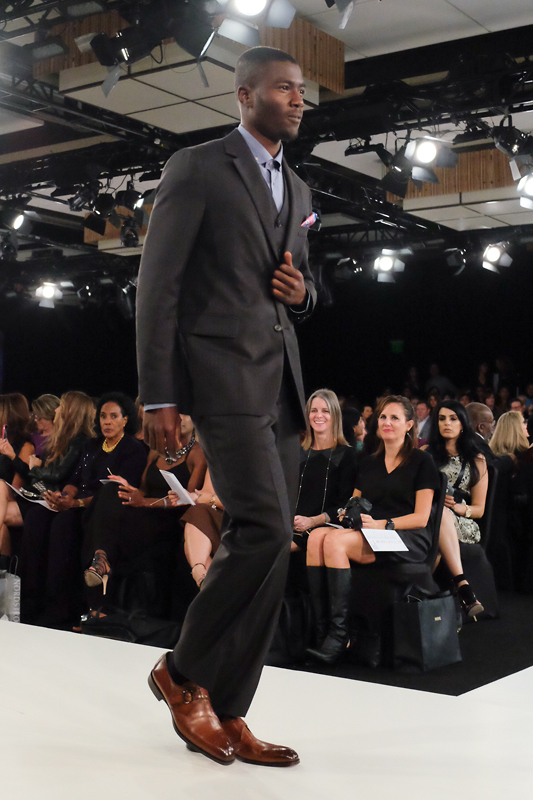 The program didn’t have garment details in this section, but represented here are Nordstrom, Macy’s & Faconnable. « 40 Over Fashion is a Bellevue Collection Street Style Winner! !